If you love the rich smoky flavor of food that comes right out of a vertical charcoal smoker, then having your own smoker at home will be a massive convenience. With smokers becoming more affordable, and with plenty of variety in the market, there’s something for everyone at every price point. A vertical smoker could become your new go-to outdoor cooking method, and the results that you can get from a high quality unit will rival those at your favorite BBQ smokehouse restaurant. If the grill is no longer quite enough for you, then you’ll want to look closely at the five best vertical charcoal smokers that you can buy today. In the case of the Masterbuilt Vertical Charcoal Smoker, you will be surprised by what it offers. The most affordable smoker on this list and one of the most affordable smokers overall that you can buy on the market today; the Masterbuilt 20060516 is a great entry level unit that has a high quality design and excellent construction quality. If you need a small and low-cost smoker then you should not have to compromise on quality. Inexpensive doesn’t have to mean ‘cheap’ craftsmanship or materials, and in the case of the Masterbuilt Vertical Charcoal Smoker, you will be surprised by what it offers. It has a built-in temperature gauge, steel construction, and even a dual door design that allows you to top up wood chips without worrying about excess heat loss. This is a great smoker if you’re trying smoking for the first time. The low cost means that you won’t be out of a huge investment if you find that smoking isn’t for you. It can cook up to 50 pounds of food, which is perfect for family cooking, making jerky or sausages, or for smoking a selection of food for your next cookout. 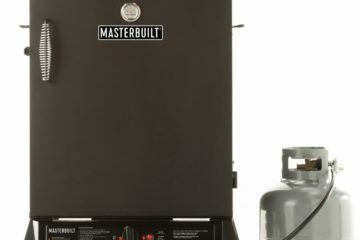 Masterbuilt has a strong reputation for quality in the outdoor cooking appliance industry, and this model lives up to the brand. You can expect this to last many cooking seasons, and it could even be the perfect smoker to use out at a cabin, beach house, or anywhere that you regularly travel to. This smoker has a similar level of quality to the Masterbuilt, and between the two there’s not really a lot of difference. 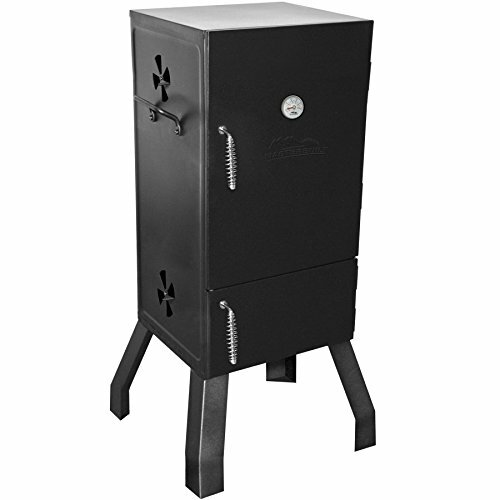 Another small and affordable smoker is the Char-Broil Vertical Charcoal Smoker. This model has 365 square inches of cooking space with three adjustable chrome racks. If you’ve already looked at the Masterbuilt smoker then you will find this one to be quite similar in design and features. It has two doors, side adjustable air vents, and the steel body is finished in a black coating, just like the first model that we looked at. 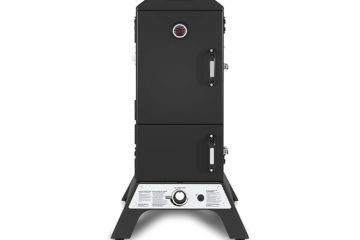 This smoker has a similar level of quality to the Masterbuilt, and between the two there’s not really a lot of difference. So, why would you buy this model that costs slightly more? Although the designs are similar, there are some subtle differences. The temperature gauge on the Char-Broil has a bigger range meaning that you can get a clearer indication of the temperature inside of the smoker. This vertical charcoal smoker also has a larger loading door on the bottom, which could make it more convenient for your use. While these changes are small, they could make all the difference when it comes to ease of use. The Char Broil is also slightly larger, which would be beneficial when you want to smoke some larger cuts of meat, or if you are entertaining guests and want to get the smoker fully loaded before they arrive. The Char-Broil is more than five inches taller than the Masterbuilt, which results in more interior volume. The 365 square inches of cooking surface is similar to what you would see on a three-burner gas or charcoal grill, which is more than enough for the average family. One thing to note about this model is that the door is not completely airtight. This is not an insulated smoker (reflected by the price), and this means that it won’t be quite as efficient as some more expensive options. Thankfully, this doesn’t make a massive difference because the cooking chamber is smaller than larger insulated models. At the end of the day you will still be able to maintain temperature well and get to high temps with the air dampers fully opened. If you love smoked food and want to make it at home, the Char-Broil smoker is one of the best ways to do it. You can get excellent results that will be far better than what you could buy at the supermarket, and best of all you will be able to choose your own flavors for your smoked creations. You can try Char-Broil’s flavored wood chips if you want to start experimenting with different smoke flavors. Affordable, easy to use, and well made; this smoker would be a good investment if you don’t need anything overly large or complicated. The rounded design makes cleaning much easier than the other models on this list. Need more space and want a more modern design? You can simply step up to the Cuisinart COS-118 Vertical Charcoal Smoker. This model features a rounded barrel style design that makes it both convenient and easy to cook your favorite smoked food. It is similar in design to a kamado cooker, which means that it has convection cooking qualities in addition to standard smoking. 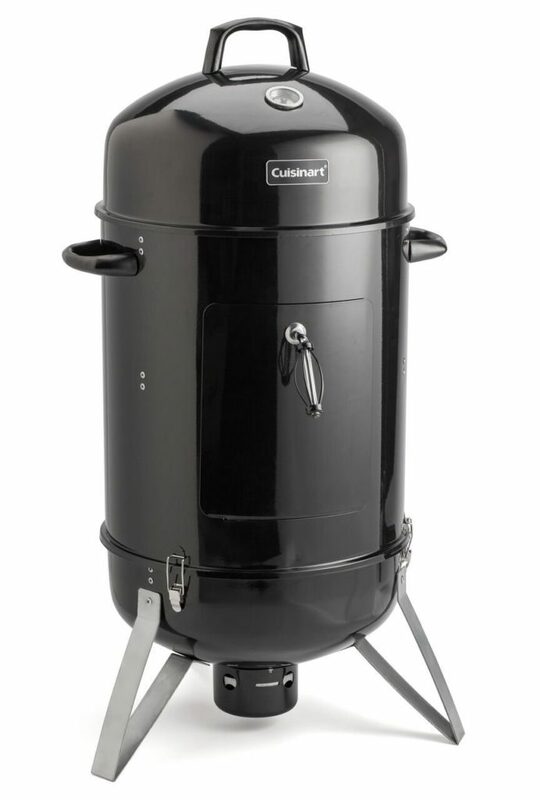 The Cuisinart is unique on our list because of its design, which allows you to access the smoker from the front as well as the top. This can make it convenient to check on your food or even replace food as you are cooking. If you are familiar with the Weber Smokey Mountain Cooker then you will find this model to be quite similar, although the price will be much friendlier on your wallet. There are two racks inside, both of which measure 19 inches in diameter. The total surface cooking area can be slightly less than a box style smoker, although you’ll still have plenty of space for family meals, or even for cooking when entertaining a small party of guests. You’ll easily fit a whole chicken on either rack, or you can combine different ingredients to create your ideal BBQ meal at home. The rounded design makes cleaning much easier than the other models on this list. Dust is caught at the bottom of the smoker, and the rounded design means that you won’t have to worry about sweeping out any missed particles. 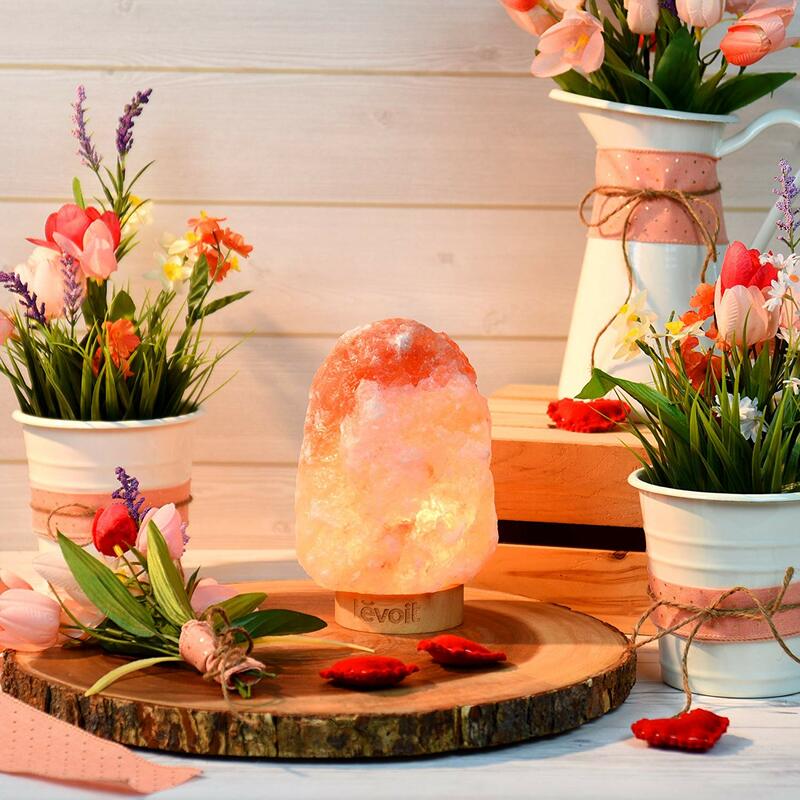 It has features that you would expect, like a built in temperature gauge, and it’s even quite portable because it weighs just 25 pounds. If you need a quality smoker for your RV, then this would be one of the models that we recommend. You could use the Cuisinart to replace your grill and you could enjoy unique meals while you’re on the road. Cuisinart is famous for their quality, and this model is made to a high standard. It requires minimal assembly (by nature of design the smoker can be packed down), and the steel construction will last for years. This smoker is proof that you don’t need to spend a lot of money to get something that is convenient and highly capable. If you need a vertical charcoal smoker that is a little different to the standard boxed designs, then this one has the price and quality to make it worthy of your investment. This smoker can provide all of the space you need for both family cooking and entertaining, and it has features that you would expect like a dual door design and a built in thermometer. 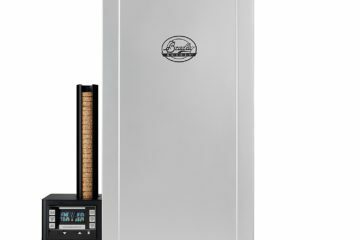 Just before we get onto the fifth and final smoker in this list, we will take a look at the Dyna-Glo DGX780BDC-D 36” Vertical Charcoal Smoker. This is a full upright smoker with a smoke chamber at the bottom. It’s a classic design and one that most smokers follow today. 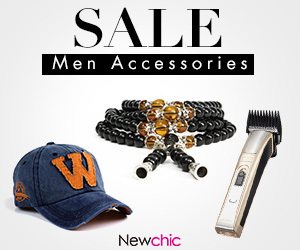 This model is made from steel and has an attractive powder coat finish. Of course, it also has famed Dyna-Glo quality, and it will give you excellent lifetime, especially if you keep it clean and store it in a cover, shed, or garage during bad weather. This smoker can provide all of the space you need for both family cooking and entertaining, and it has features that you would expect like a dual door design and a built in thermometer. 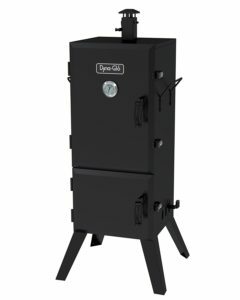 It’s a great smoker if you need something big but don’t have a lot of space (it’s fully vertical so it has a small footprint), and the construction quality won’t let you down. The smoker is reasonably priced despite its size, and it has been highly reviewed by customers who have rated it one of the best smokers in its class. This smoker can give you the same great smoked foods as the other models we’ve looked at, with the difference being that this one can do it in a large smoking chamber that offers up to 784 square inches of cooking area. We’ve so far looked at four of the best vertical smokers on the market, ranging from affordable models, up to mid-range options with more room and better smoking abilities. If you still haven’t found your next investment and want something that is even more capable, then the Dyna-Glo DGO1176BDC-D Vertical Charcoal Smoker will likely interest you. This is a smoker that can potentially take the place of your home grill. It’s perfect if you are smoking every other weekend, or if you regularly smoke large cuts of meat. Making sausages and other cured meat would be perfect in this Dyna-Glo model. It could even be used for a home business if you are making specialty meats – that’s how much space you’ll find inside! The smoker is made from steel and the large cooking chamber features heavy doors that keep all of that heat and smoke inside. You’ll find that this is an efficient smoker, which is important if you are concerned about the amount of charcoal that you will need to use. The design is simple and classic, and this would look great displayed outdoors. Think of how great it would be to open up the smoker to reveal the aroma of succulent meat at your next gathering of family and friends. Because of the size, you’ll have no problem feeding them all, no matter how large the group is. With this smoker fully stocked, you could cook up to 100 pounds of food. The offset design is the reason that there’s so much room in the smoking chamber. By putting the fuel tray/burning area to the side of the main chamber, there’s more space left for vertical racks. It also means that refueling while cooking will result in minimal heat and smoke loss. This model is even more efficient than other vertical smokers because of this offset system. 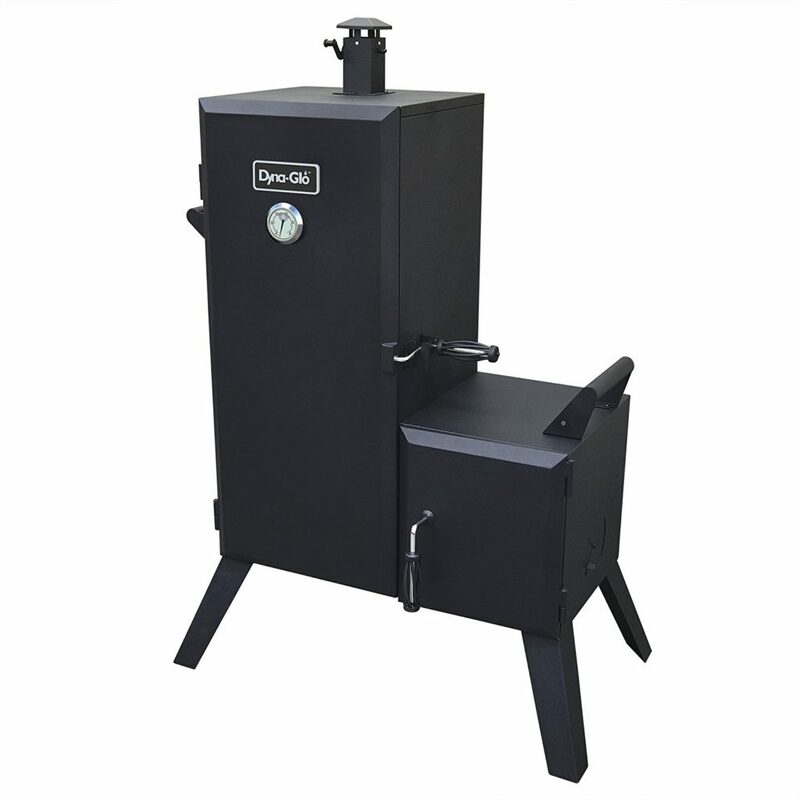 The Dyna-Glo Charcoal Offset Smoker is a great product because it produces amazing results and offers lots of flexibility for large cuts of meat and whole birds. The heavy duty steel will ensure long lifetime, letting you enjoy this one for many seasons into the future. If you need a large smoker but still want a reasonable price, then this is the model that you’re looking for. Charcoal smoking results in excellent flavor, and charcoal smokers are much easier to use than you might think. 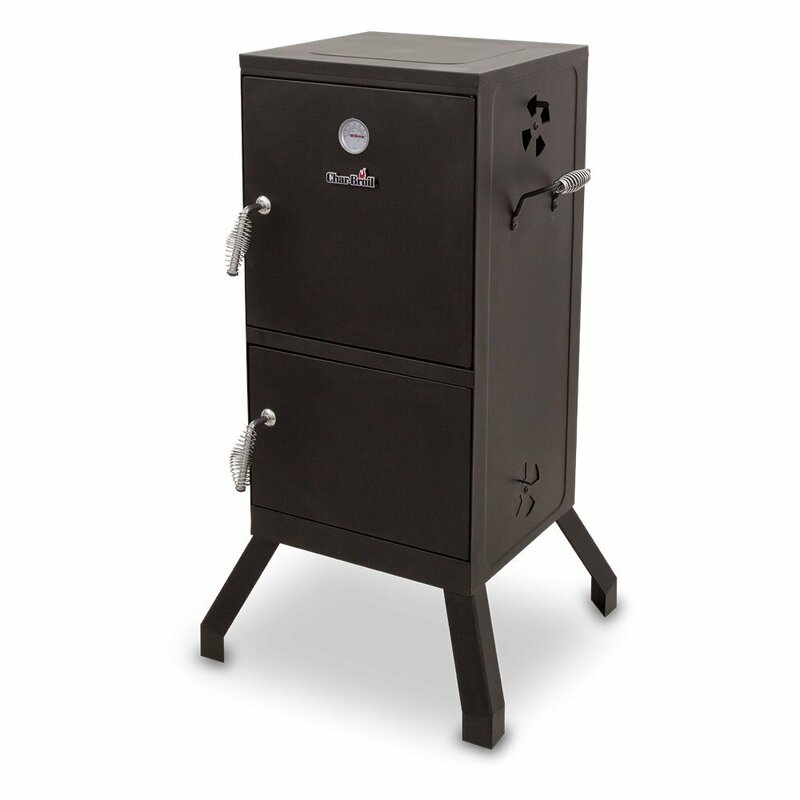 While gas and electric smokers will always be more convenient, there’s still a unique flavor and experience that you can get from using a charcoal smoker. Depending on where you live and the fuel that is available to you, charcoal might even work out to be the most efficient and economical option. With five top quality suggestions, you’ll be able to choose the best smoker for your needs. Any one of the smokers on this list would make an excellent addition to your outdoor cooking area.